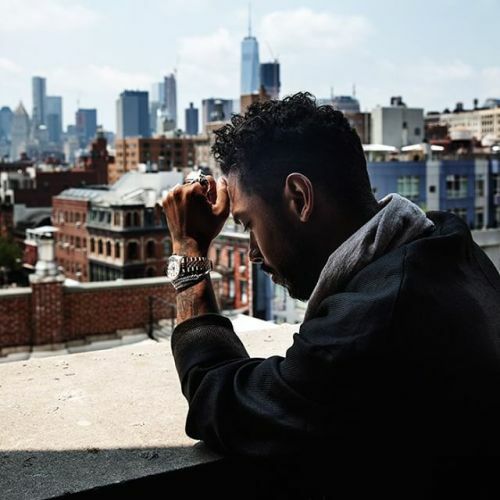 “@miguel at the @boweryhotel in New York, where @malinfezehai photographed him earlier this month. @miguel’s first headlining tour — for his new album #Wildheart — will bring him back to the city in August. On his first two albums, @miguel, 29, presented himself as a typical R&B figure. Now, he’s claiming his own more specific identity: a songwriter who finds his hometown — Hollywood, beaches, the suburbs, the ghettos — both around and within himself. “I really am #LosAngeles,” he said. “Not only in the sense that I’m Mexican and black, and they’re the dominating ethnicities in this city, but in the energy of Los Angeles, and how everywhere you go there’s this weird juxtaposition of hope and desperation. And that’s my life, that’s who I am.”” By nytimes on Instagram.